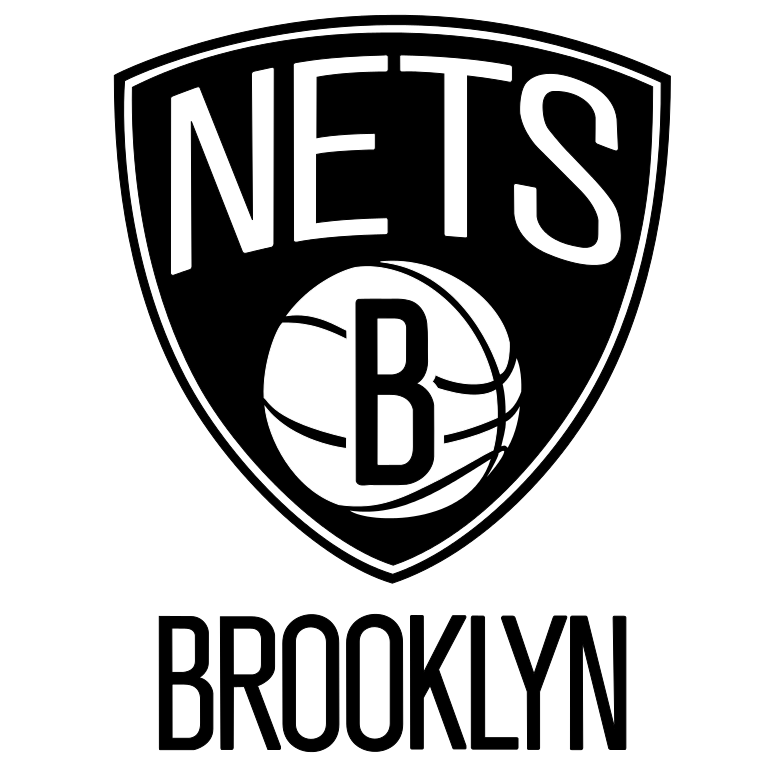 The Brooklyn Nets were one of the four teams to join the NBA in the ABA-NBA merger in 1976. The Nets were successful in the ABA before the merger. They were able to win two championships in their ABA days. The team did not begin as the New Jersey Nets though. They began as the New York Americans, but before they ever played a game they were relocated across the river to New Jersey. The Nets ended up moving back into New York and played most of their time in the ABA as the New York Nets. The Nets won their two ABA championships behind the play of Julius Erving also known as “Dr. J.” He won the league MVP, and he is still considered today one of the best players and dunkers in the history of basketball. The merger of the ABA and NBA was not a smooth transition for the Nets. The Nets had won the ABA championship the season before they merged into the NBA. The Nets had acquired Nate Archibald to add to their already championship level team led by Dr. J. Fate would not smile on the Nets though. The Nets unexpectedly had to pay the New York Knicks 4 million dollars to be able to play in New York with them. This left them having to take back a pay raise to “Dr. J” which resulted in him not coming to team activities. Not only did they have to pay the Knicks 4 million, but the NBA was requiring the ABA teams to pay 3 million to join. The Nets were offered 3 million dollars by the 76ers for Dr. J. The Nets had no choice but to accept to pay their way into the NBA. The Nets would finish their first season in the NBA with the worst record in the league due to Dr. J leaving the team and Archibald breaking his foot. They had won the ABA championship the previous year. The Nets would not fare any better in the coming five seasons in which they failed to make the playoffs. They moved back to new jersey during this time. The beginning of the 80′s was a time of hope for the Nets. The Nets made it to the playoffs for the first time in 1983. The following season they won their first playoff series. They would make it to the playoffs for a few consecutive years before falling out of the playoffs again for eight seasons. After early success in the 90′s, the Nets followed with what they did in the 80′s and regressed. The Nets made the playoffs a few teams, but they never established themselves as contenders in the league. The Nets finally got a break in the 2001 when they traded for Jason Kidd. They had already gotten two other core pieces of their future in Richard Jefferson and Kenyon Martin. Behind the play of these three players, the Nets would soar to new heights. That season the Nets would have a lot of firsts. It was their best regular season with 52 wins. They won their division for the first time. They finished as the number 1 seed in the East. And for the first time they won two series in the playoffs. Not only did they win two, but they went ahead and won the third series to advance to the NBA Finals. The Nets would lose to the Lakers who had won the championship the previous two years. The Nets would continue in their ways the next season. They did not win as many games in the regular season, but they once again won their division. They made it back to the Finals for the second time in a row. The Nets would come up against the San Antonio Spurs this time. The Nets were not swept like they were the previous season. They would put up a fight against the Spurs but ended up losing in 6 games. The Nets would continue on this success for most of the rest of the decade. They parted ways with some of their key players, but they brought in superstar Vince Carter to help lead the team. With the play of Carter and Kidd, the Nets were a constant playoff team in the East. They were never able to recapture the Eastern Conference though after they won it in back to back years. The Nets have struggled since 2007 when they traded away Jason Kidd and Vince Carter was hurt. In the coming seasons, the Nets also let Carter and Jefferson go which led to the collapse of the franchise. In 2009, the Nets finished with one of the worst records in NBA history with a 12-70 record. The Nets are still one of the worst teams in the league, but there is a glimmer of hope. Last season the Nets acquired one of the best point guards in the league in Deron Williams. They have also cleared the roster to make room to sign one of the top players in the league to a maximum contract. If Williams decides to stay and the Nets are able to sign or trade for one of the top players in the league, the Nets will have a bright future as they head into New York City next season as the Brooklyn Nets.